You might already know that Hilhaven Lodge Blended Straight American Whiskey is a great tasting whiskey and so do the people who host the Emmy Awards. Hilhaven is the spirit of choice for the 69th Emmys on Sept. 17. 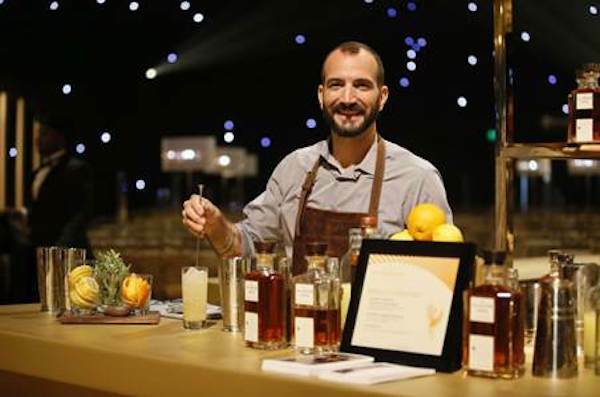 World-renowned bartender Charles Joly created The Hilhaven Lodge Fireside, the official cocktail of Emmys Governors Ball, the official after-party. The Hilhaven Lodge Whiskey captures the essence of Hollywood. Hilhaven Lodge is an icon and the inspired whiskey, The Hilhaven Lodge, commemorates some of Tinseltown’s most star-studded celebrations. Shake, pour into Collins glass over Kold Draft type ice. Top with a splash of ginger beer. Garnish with fresh sage leaf and lemon wheel. Print article This entry was posted by Art Eddy III on September 8, 2017 at 11:40 am, and is filed under Lifestyle. Follow any responses to this post through RSS 2.0. Both comments and pings are currently closed.